What happens when you combine the energies of capable Capricorn and quirky Aquarius? You get highly unique individuals, that’s what. 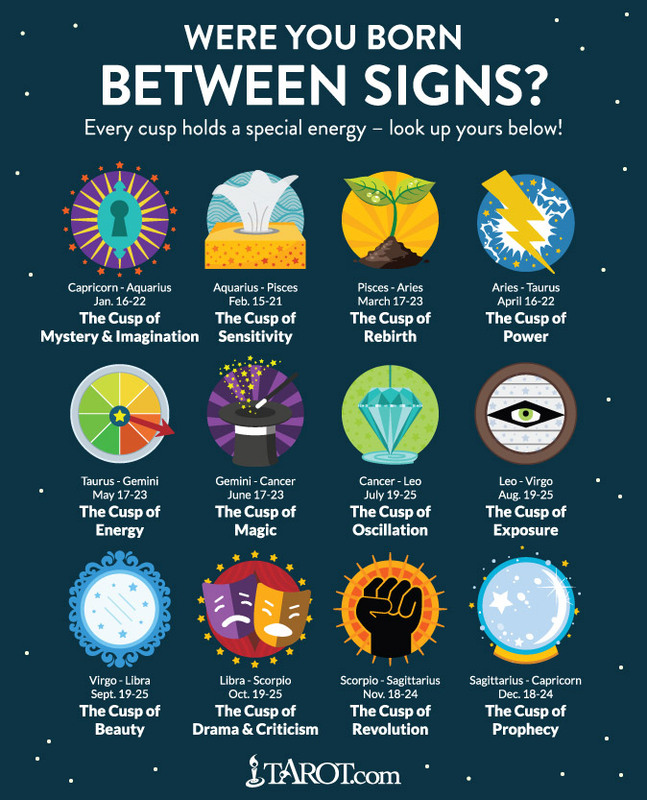 If you were born between about January 16 and January 23, you were born on The Cusp of Mystery and Imagination, and there’s never a dull moment. Prone to leading unusual lives, “Capriquarians” often struggle to balance the two very different sides of their personalities — they are reserved yet social, security-craving but independent, and traditional yet offbeat. While hard-work and high standards bring these cuspers much success in most career endeavors, they can have more difficulty maintaining personal relationships. This is perhaps due to a need for independence, and a tendency to seem aloof and critical — sometimes even selfish. However, if they can put forth the loyal, funny and friendly sides of themselves they’ll make fast friends. Aquarius-Pisces is also arguably the most intuitive cusp placement, lending a naturally psychic and compassionate view of the world. Delving into spiritual matters and philosophical ideals is much more important to these folks than simply managing the details of day-to-day life. If your birth chart combines energies from the dreamy, imaginative sign of Pisces and go-getter Aries, chances are you know what you want — and you want it now. Those born on the Pisces-Aries cusp, which falls between about March 17 to March 23, are an intriguing mix of fiery impulsiveness and imaginative daydreaming, which is actually pretty excellent because it means they’re both dreamers AND doers. A bit impatient and very direct, “Pisaries” peeps can sometimes rub others the wrong way by refusing to compromise. Why compromise when you are always right, they wonder? But at the same time this does make them great leaders. Because they combine a certain fearlessness with compassion for others, these cuspers have a natural ability to push limits and bring others along with them toward success. It’s all about generating new ideas, working hard to put them in effect and then playing hard to reduce the stress. If those born on this cusp can just work a little harder on their social skills and try to cultivate patience, their lives will be much easier. In fact, when they can balance the two sides of their personalities they work well together — Pisces can temper Aries hasty moves, while Aries can make Pisces’ dreams a reality. Watch out world, here comes the almighty Aries-Taurus cusper! If you were born on the cusp between Aries and Taurus, between about April 17 to April 22, you were born on The Cusp of Power and you are indeed a force to be reckoned with. Authoritative and bold, people born on the Aries-Taurus cusp are natural born leaders. They’ll take charge at work or at home, and the two signs’ energies mix well for success — impulsive Aries lends energy and pushes forward toward goals, while practical Taurus takes care of all the details. One area to watch is that of being too forceful, and barreling right over the opinions and desires of others. Those born on the Aries-Taurus cusp can’t stand to watch others do things the know darn right they could do better themselves. How do they know that? Because they’re quite opinionated! This isn’t always a bad thing, it’s just important to find balance, tone down all those aggressive winning instincts and learn to better respect the feelings of others. Then the funny, helpful, strong and dependable side to the Aries-Taurus cusp will shine in its own powerful light. This is a load of mumbo-jumbo. 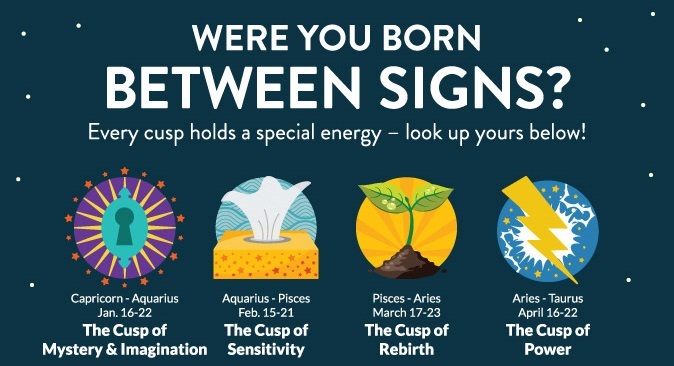 As an astrologer, there are no cusps – only cut off dates. The sun is either in one sign or the other. If you identify with qualities of the next sign, it is because you possibly have Mercury or Venus there as they are never too far from the sun. You are trying to reinvent the wheel. It can’t and won’t be done. It’s really lousy that not all the the cusps included a “learn more about” section.